I’ve always heard from most people I’ve met here in the US doesn’t like eggplant, that includes my partner in crime and life. Yup! He tried once, but never appreciates the taste or flavor. No matter how I tried and cooked it in different ways, he is not a fan of eggplant. So, I gave up on him. On the other hand, my son is quite opposite, which I am thankful for. He ate “Tortang Talong” and this one too. At least, I have someone to share eggplant whenever I cooked eggplant. 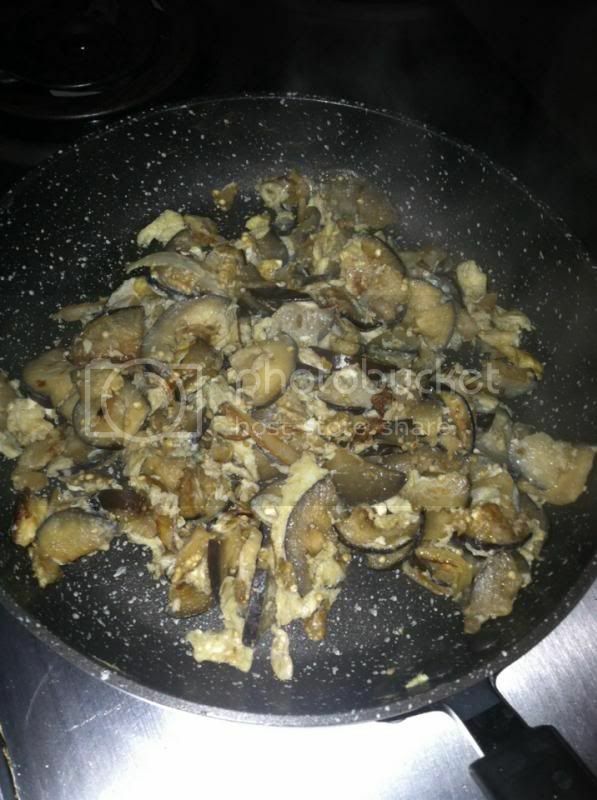 I used to cook it like a “Tortang Talong” known as grilled eggplant, skinned and fried with egg. It’s very GOOD; I can eat the whole plate of rice in one serving of eggplant. Today, I thought of making a different dish, similar but instead of grilling the eggplant first, I cut them into small pieces instead and fried it with eggs. Taste great, even my son enjoys it. What do you think about the eggplant and my dish? I don't dislike eggplant but usually only have it when I order eggplant Parmesan--which admittedly is not that often since I do not like an oily feel. The way you prepared it here--I just might like it! I have eggplant on hand and have been trying to figure out how I want to prepare it. This gives me an idea. I like tortang talong. Whenever I cook it, I am the only one who eats it. My husband and daughter do not like it. I still have eggplant here and I will make torta tomorrow. I even incorporated it to the lasagna.